It was when a US tide against the anti-patriotic Socialist- Democrat party had reached near maximum potential, in early May of 2013, when Supreme Leader Obama stunned America and went squarely against the Founding Fathers' cautionary narrative regarding an all-encompassing federal government. "They'll warn that tyranny always lurking just around the corner, you should reject these voices~Barack Obama"
Ironically, Obama's words could have been a prescription against the actions of his own party, in the modern-day. Obama's newly reformed Socialist-Democrat party, at least in some ways, has miraculously rediscovered at least some parts of the US Constitution, since Trump was elected president. This rediscovery, for now, expectantly precludes, of course, the 1st and 2nd amendments, and probably quite a few more, frankly, but hey, at least it's a start. OBAMA: "Unfortunately, you've grown up hearing voices that incessantly warn of government as nothing more than some separate, sinister entity that's at the root of all our problems. Some of these same voices also do their best to gum up the works. They'll warn that tyranny always lurking just around the corner. 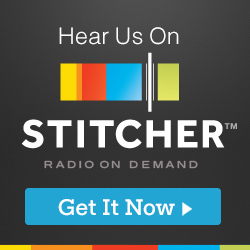 You should reject these voices. Because what they suggest is that our brave, and creative, and unique experiment in self-rule is somehow just a sham with which we can't be trusted. We have never been a people who place all our faith in government to solve our problems. We shouldn't want to. But we don't think the government is the source of all our problems, either. Because we understand that this democracy is ours. And as citizens, we understand that it's not about what America can do for us, it's about what can be done by us, together, through the hard and frustrating but absolutely necessary work of self-government. And class of 2013, you have to be involved in that process." Moreover, more recently, globalist extraordinaire & FORMER PRESIDENT Obama (don't you just love reading that day in and day out?) is at it again. This time, in Muslim-dominated Indonesia, where Obama warned against the independent celebration of national patriotism as extreme nationalism gone heinously amuck. It was as if Obama had morphed into one of the EU's unelected kleptocratic leaders. You know, the ones who consistently rail against borders and a cultural national identity, in indirect favor of a continuingly massive Muslim refugee influx. It's an influx socially engineered to replace the existing framework of law and order with the multicultural chaos that is weakening western democracies, all throughout Europe. "In America, We Do Not Worship Government, We Worship God"
God Bless him, quite the contrast, eh? "The former US president said some countries had adopted “an aggressive kind of nationalism” and “increased resentment of minority groups”, in a speech in Indonesia on Saturday that could be seen as a commentary on the US as well as Indonesia. But he said that increased prosperity had been accompanied by new global problems, adding that as the world confronts issues ranging from inequality to terrorism, some countries – both developed and less developed – had adopted a more aggressive and isolationist stance." "Former U.S. President Barack Obama has pointed to the importance of the Paris climate accord while criticizing Donald Trump for pulling the world’s biggest economy out of the pact. “The challenges of our times, whether it’s economic inequality, changing climate, terrorism, mass migration; these are real challenges and we’re going to have to confront them together,” he said. Despite the mainstream media's ongoing false narrative, Trump seems more popular than ever and Democrats appear to be playing super whiff-ball in race after race after special election race. As Trump stated during the campaign, "We're going to win so much you'll get tired of winning," and the Dems do appear to be tiring. Trump is being proven right despite the Left-wing Globalists in DC pulling out all the stops, including both real and figurative character assassination attempts fueled by completely irresponsible leadership rhetoric that the Dems are sure to keep losing elections on. It's Ground Hog Day in DC, again. So get ready for the "Les Miserables" chorus sure to come from the media, in the coming days. ROSWELL, Ga. (AP) - Republican Karen Handel is thanking President Donald Trump for supporting her victory in Georgia's 6th Congressional District, which keeps a key seat in the party's hands. Handel defeated Democrat Jon Ossoff on Tuesday. Trump tweeted his congratulations to Handel on her "big win," saying "we are all very proud of you." Handel also referenced the recent shooting of Republican House Majority Whip Steve Scalise, who was wounded when a gunman sprayed rifle fire on a baseball field where members of Congress were practicing for a charity game. The shooter had railed against Trump on social media. Handel says "we need to continue to lift up this nation so that we can find a more civil way to deal with our disagreements." 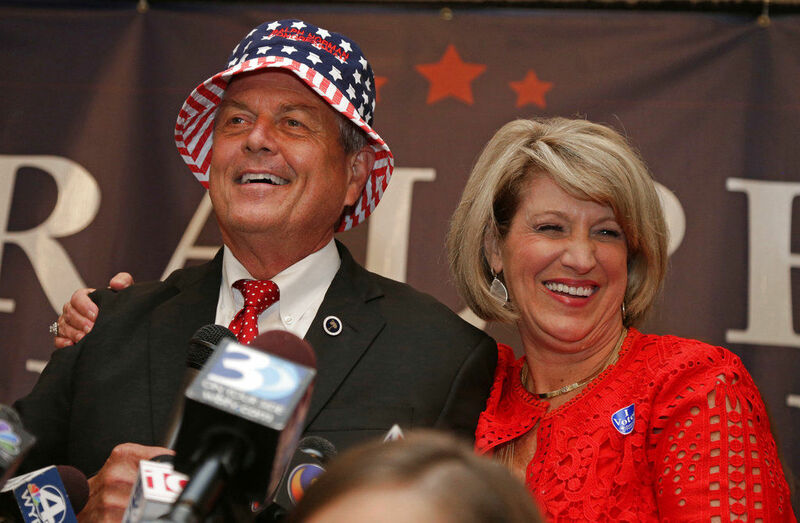 COLUMBIA, S.C. (AP) -- Republican Ralph Norman won a special election Tuesday to fill the South Carolina congressional seat vacated by Mick Mulvaney, battling to a victory closer than many expected to replace the new White House budget director. "It's a good win, and we're excited," Norman, a real estate developer who aligned himself with President Donald Trump, told The Associated Press. "We're looking forward to getting to work in Washington." Norman, who celebrated his 64th birthday on election night, defeated Democrat Archie Parnell with 51 percent of the vote, with 99 percent of precincts reporting. Parnell had roughly 48 percent of the vote. Three third-party candidates also ran. Republicans hoped to extend their hold on the district, where Trump defeated Hillary Clinton in November by more than 18 percentage points. Surrogates like Texas Sen. Ted Cruz and former South Carolina Sen. Jim DeMint campaigned with the former state lawmaker, who also received support during a seven-way primary and ultimate runoff from conservative groups like the Club for Growth. Lets thrust politics & other world events aside, if only just for a moment, and take a look at phenomena known as "prophetical convergence." Point-in-fact, "Convergence" is always the thing when it comes to the flawless prophecies of the Holy Bible. So, what does convergence specifically mean? It's defined as an act of moving together towards union or uniformity, meaning several separate things or events coming together-- much like three rivers converging into one. For our purposes, in this particular case, about 26% of the Bible is made up of prophecies and 80% of those prophecies have come to pass, at one time or another. But, even more spectacularly, many of those prophecies were linked, in that multiple prophecies had to come to pass, in some cases, over thousands of years, to make other prophecies even possible, before they also came to pass. In addition, many of these have done so since Israel became a nation, again, which was one of the penultimate Harbingers for the final days, at least as we have known them. Many, it is true, also believe that before the generation of man that saw Israel become a nation passes, the end-times events, as predicted by the scriptures, will come to reach full fruition. But, eschatology experts assert that it's not necessarily the one prophetical sign over here, or the one over there, which might resemble end-time prophetical events; it is, in fact, a convergence of these prophetical signs that Watchers are to look out for, which will come as "birth pains" meaning more frequently at a faster rate, as time passes. 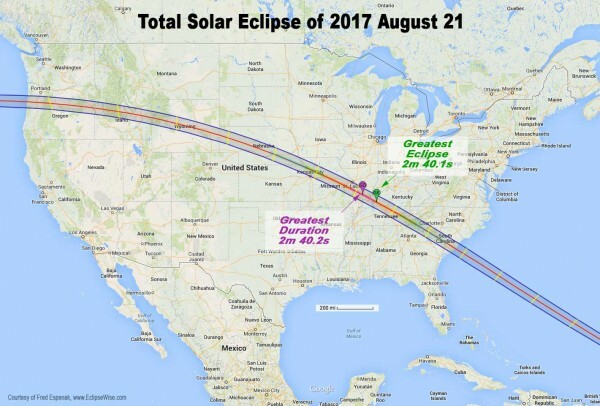 One of those events pointing to where we might be, in Biblical time, focuses on an upcoming solar eclipse, that's to take place in August of this year. Solar eclipses, at least for those Gentile nations who witness them, are said to be a warning, that change will soon be coming. 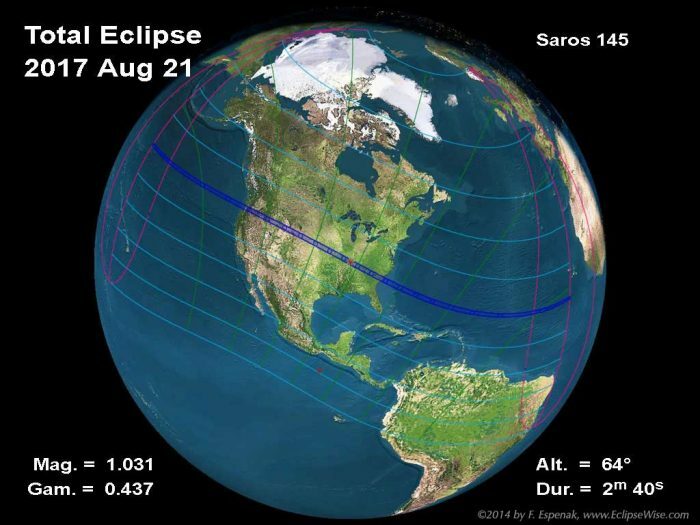 However, there have been plenty of solar eclipses where nothing, at least that we are outwardly aware of NOW, has come to pass, however, this is where convergence, again, may come into play. As it involves America, what we do know is the fact that of the few known Super-Volcanos across the world, the Yellowstone caldera is one of the most well-known, and it's long past due for another half-million-year or so, cyclical eruption. When the Yellowstone Caldera does blow, the volume of ash and cloud it produces will cover most of the US, while introducing enough ash into the atmosphere to effectively blot out the Sun, planet-wide, for months on end, leading to all sorts of devilish problems across the planet. The one problem they rarely wish to talk about is the severe worldwide cooling, and possibly even a year-long winter, an event probably unlike anything seen in recorded history, but that's another story altogether. Revelation 6:12 I watched as he opened the sixth seal. "When he opened the sixth seal, I looked, and behold, there was a great earthquake, and the sun became black as sackcloth, the full moon became like blood, and the stars of the sky fell to the earth, like unripe figs dropping from a tree shaken by a great wind." 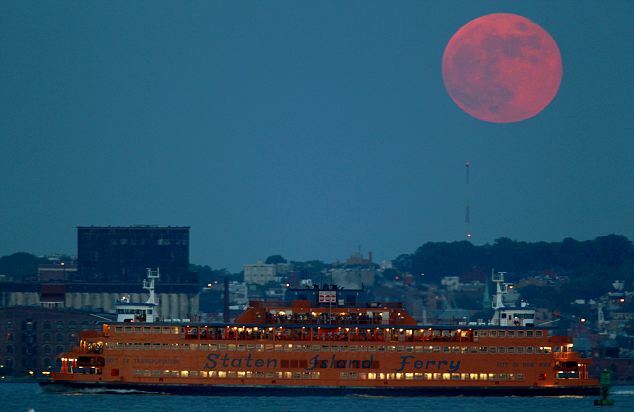 Two keen signs, within the scripture, could be pointing to volcanic ash as from a major eruption, in the prophecy, which would turn the Sun black, and would also turn the Moon red, at least from our vantage point, within Earth's atmosphere. Moreover, as we can see from the following story, the question some are indeed starting to ask is whether or not this massive event could begin a series of events that history has long foretold? YELLOWSTONE REGION (INTELLIHUB) — U.S. Geological Survey (USGS) seismology reports conclude that a massive swarm of earthquakes swept through the park triggering more than 60 separate events in which seismographs spiked to magnitudes of up to 5.0. Friday. Scientists concur that the last eruption of the caldera took place some 640,000 years ago. The two men and former colleagues have long been friends, allies, and partners. Agents have quipped that they were joined at the hip while at the Department of Justice and the FBI. They have a mentor-protégé relationship. The likelihood of prejudice and favoritism is glaring and severe." As Knowledge of assigned Special Counsel Robert Mueller's long-standing and close relationship with fired FBI Director James Comey has increasingly come to light, many legal experts cannot believe that, yet again, the laws & legal statutes of the United States are not being followed. 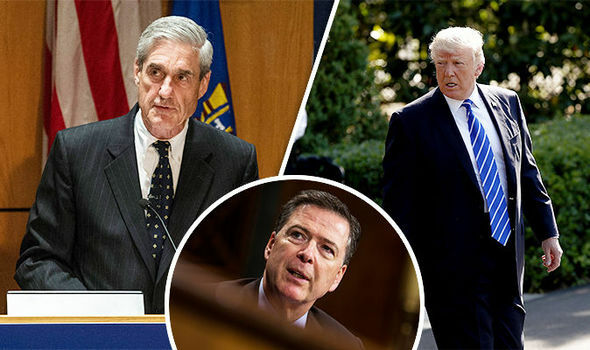 Mueller, who was assigned the job of Director of the FBI shortly before 9/11, retired from the post in September of 2013 & was succeeded by close friend James Comey, after Comey's long stint away from government service as a private attorney, member of several Big-Corp boards, and educational posts. According to attorney-journalist Greg Jarret, of Fox News, and other expert sources, Mueller's appointment as special Counsel "violates several US Laws as it regards Mueller's well-known friendship with James Comey." According to Jarrett "He has an egregious conflict of interest." From Jarrett: "The special counsel statute specifically prohibits Mueller from serving if he has “a personal relationship with any person substantially involved in the investigation or prosecution.” The language is mandatory. He “shall” disqualify himself. Comey is substantially involved in the case. Indeed, he is the central witness. The two men and former colleagues have long been friends, allies, and partners. Agents have quipped that they were joined at the hip while at the Department of Justice and the FBI. They have a mentor-protégé relationship. The likelihood of prejudice and favoritism is glaring and severe. So, it is incomprehensible that the man who is a close friend of the star witness against the president… will now determine whether the president committed a prosecutable crime in his dealings with Mueller’s good friend. Mueller cannot possibly be fair in judging the credibility of his friend versus the man who fired him. "In all matters, prosecutors are forbidden from presiding over a case in which they have a personal relationship with a key, pivotal witness. This is the kind of disqualifying mandate which, if violated, can and should result in disbarment proceedings against a lawyer. Mueller is violating not only the special counsel statute, but the Canons of Ethics and its successor, the Code of Professional Responsibility, which govern the conduct of lawyers. Almost as a counterpoint to Jarrett's assertions, tonight, the Washington Post is reporting that as many as five sources within Mueller's special Counsel, have leaked more potentially damaging information regarding their investigation into Trump-Russia business dealings, to the Washington Post. The fact that we know, for a certainty that James Comey is an avowed leaker ( according to his own testimony) and new leaks are now coming from Mueller's investigative team suggests that the investigation is unnaturally biased. All of this in addition to the obvious conflict of interest that Mueller has with his star witness and longtime friend in his singular role as leader of the special counsel agenda. Further, we are being required to nevermind the seriously compromising Deep State anti-Trump ties that Americans are expected to ignore. "Special counsel Robert S. Mueller III is investigating the finances and business dealings of Jared Kushner, President Trump’s son-in-law, and adviser, as part of the investigation into Russia’s interference in the 2016 presidential election, according to U.S. officials familiar with the matter. FBI agents and federal prosecutors have also been examining the financial dealings of other Trump associates, including former national security adviser Michael Flynn, former campaign chairman Paul Manafort, and Carter Page, who was listed as a foreign-policy adviser to the campaign. 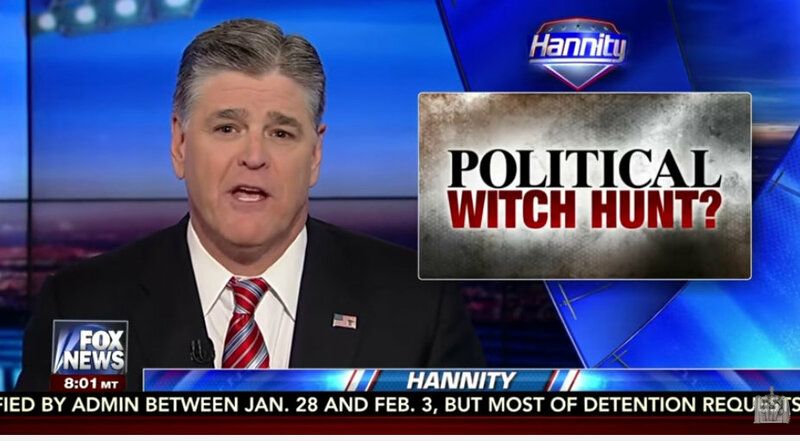 Just as Hannity reached the level of being targeted, boycotted, and persecuted by the Alinsky left to the point that he often signs off, at night, without knowing whether or not he’ll be back the next day, Hannity blows away all cable news shows. Sean Hannity is now slipping into the monster-vacuum left by Bill O’ Reilly, who was the Fox News Flagship program, for many, many years, and he’s proving himself more than capable. The only question remaining will soon become why the wet-behind-the-ears Murdoch boy-scions, who desultorily referred to O’Reilly, whom they dismissed & Hannity, who they wish to dismiss, as both “Retromen,” have resisted moving Hannity back to a more prime-timish slot.